Ford’s post-acquisition strategy for Jaguar was one of aggressive growth, but it came at some cost – particularly to their core model line. The new XF Sportbrake has landed. As Jaguar 2016 sales hit unprecedented heights, we take an unflinching look at XE’s school report. History appears to be a particularly weak subject. Ever wondered why so few XJ40s remain on the roads? One word: scrappage. The 2003 X350-series marked the point where Jaguar’s retro styling path met its maker. We examine its failure. Had Sir William Lyons been working in the current era, it’s likely he’d have continued to plough his own stylistic furrow. Many have speculated on how Jaguar’s founder might have evolved the ‘Lyons line’, but in his wake, all we have is a subsequent body of work that amounts to studied guesswork on the part of the old master’s successors. The quality of Jaguar’s stylistic output in recent decades can best be described as patchy; certainly few could reasonably argue that anything produced in recent decades matches that of Lyons at his apex. Not satisfied with a year-long treatise on Jaguar’s mid-80s saloon, DTW’s kitty chronicler-at-large goes looking for connections further afield. Jaguar’s decision not to give the XE an estate variant is either an expedient commercial decision or another case of History Repeating©. Which is it? Give Us A Brake! – Jaguar Jettisons Its Baggage. JLR appear to have hit on a genius plan to secure Jaguar’s future. Unfortunately it doesn’t appear to involve making Jaguars. Author Eóin DoylePosted on 21 Apr 2016 8 Mar 2018 Categories Current Affairs, Jaguar, Marques, The IndustryTags History Repeating, Ian Callum, JLR28 Comments on Give Us A Brake! – Jaguar Jettisons Its Baggage. As our December theme chokes on the very last mince pie, we celebrate four decades of disappointment, brought to you by Jaguar. Two long running sagas stand out in the automotive world, perennials which still pop up year after year since goodness knows when. One is that of Alfa Romeo’s struggle to get back on the form it showed in 1965. 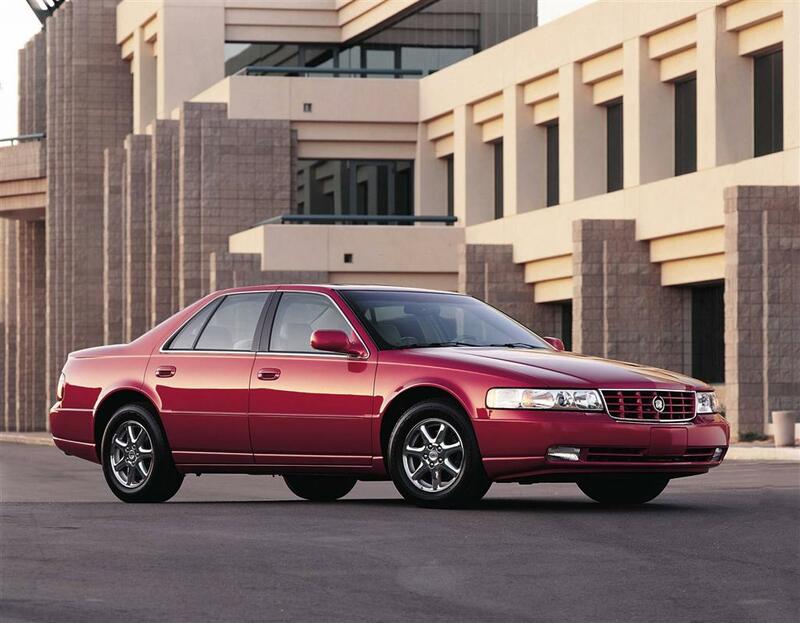 The other is that of Cadillac’s endless quest for credibility in Europe (and then latterly in the US). In the second of our postscripts to the XJ40 story, we profile its architect. 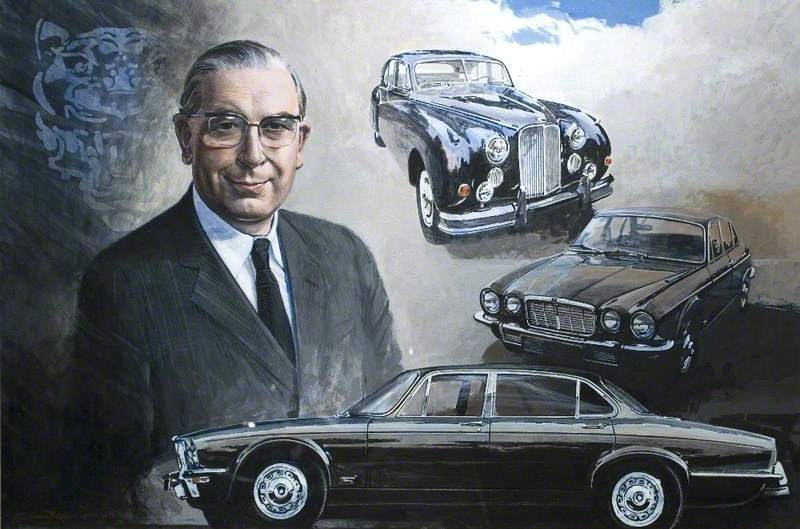 We profile a man who did more to define not only the XJ40 concept, but also Jaguar’s overall engineering direction than perhaps any other single individual – Bob Knight CBE. Research has shown it’s impossible to have too much XJ40 in your diet, so here’s another helping. If like us, you haven’t sufficiently gorged yourself on all things XJ40, don’t worry; Driven to Write is on hand with this series of short promotional films from the ’40s launch in 1986. Immerse yourself in a world of almost universal moustaches, nascent CAD, grey slip-on loafers and illicit assignations, as XJ40-man jets back to his fancy woman via the Scottish Highlands – (where he indulges in some unexplained wildlife photography), the Canadian wilderness and the Australian outback in what can only be described as the mother of all commutes. Phase Three – 1981-1986: Picking Up the Pieces. 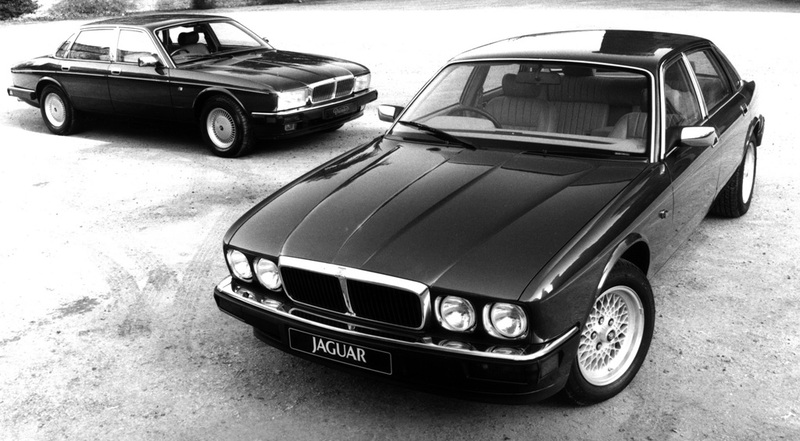 The early phases of XJ40 development centred around the battles played out to retain Jaguar’s identity. The third phase would be dominated by efforts to remove themselves from BL’s influence entirely. For John Egan, the first eighteen months at Browns Lane proved something of a high wire act. With morale in tatters, and unfinished cars piling up, Egan initially believed that Jaguar’s problems were marketing rather than production based, a notion he was swiftly disabused of. We examine XJ40’s turbulent conception and ask, was this the last Jaguar? They said it couldn’t be done, but he’d heard that before. Nobody had presented a new car at the prestigious London Institution of Mechanical Engineers and furthermore no complete car had ever entered the hallowed lecture hall at number One, Birdcage Walk, Westminster. This learned society, founded by Railway pioneer, George Stephenson in 1847, had already hosted some of the finest engineering minds over its 140-year history, but August 28, 1986 would prove something of a first. Tragedy, Loss, Redemption? Driven to Write brings its XJ40 epic to a close and asks, can Jaguar ever truly escape its past? 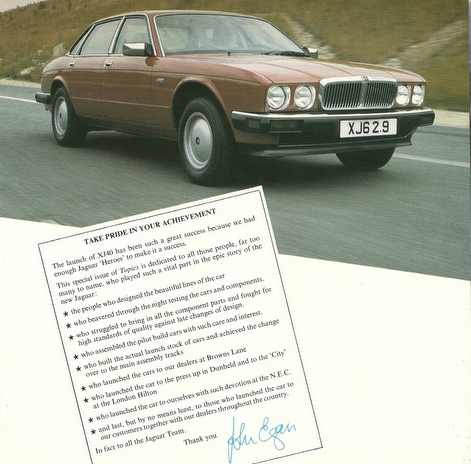 Apparently, Sir John Egan considered cancelling XJ40 in 1984 and starting the programme afresh, claiming he was talked out of it, not only by his management board, but by Sir William Lyons. This remains one of the great unknowns regarding the car, as it remains unclear what such a decision could have realistically achieved. A micropost on the reverberations of certain design themes across decades and between brands and a reflection on their meaning. One of our readers has asked for further clarification on the meaning of the “CX line” with respect to the 2008 Renault Laguna. 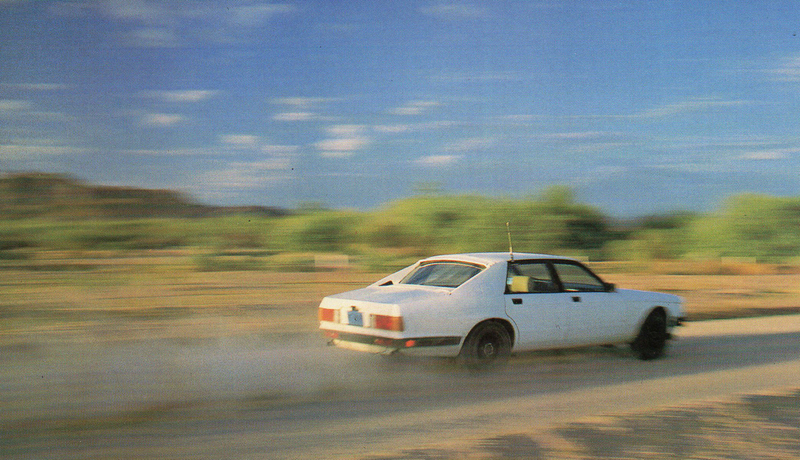 The first photo shows the 1976 Citroen CX, designed by Robert Opron. The second photo shows a Series 1 Renault Laguna from 2009. 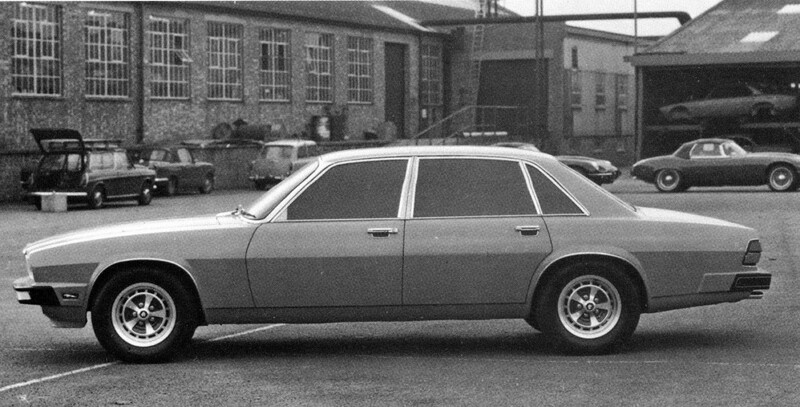 The CX line is partially obscured by the cut-out of the headlamps and, of course, is set within a more complex environment than the corresponding line on the 1976 car. Phase Four – 1986-1994: The Rhymes of Goodbye. As Henry’s new broom sweeps both baby and bathwater, XJ40 gets a final makeover before it bows out. Phase Four: 1986-1994 – The Legend Stumbles. As Jaguar’s woes multiply, Ford senses its moment and strikes. The F-Type is not the quintessential modern Jaguar. This is. Phase Four: 1986-1994 – Keeping up appearances. 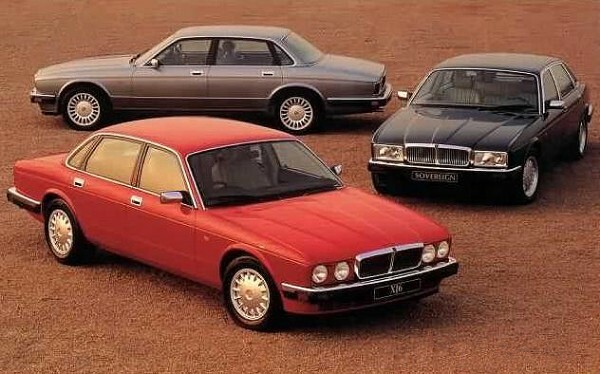 Jaguar revises XJ40 as the tide turns against it. 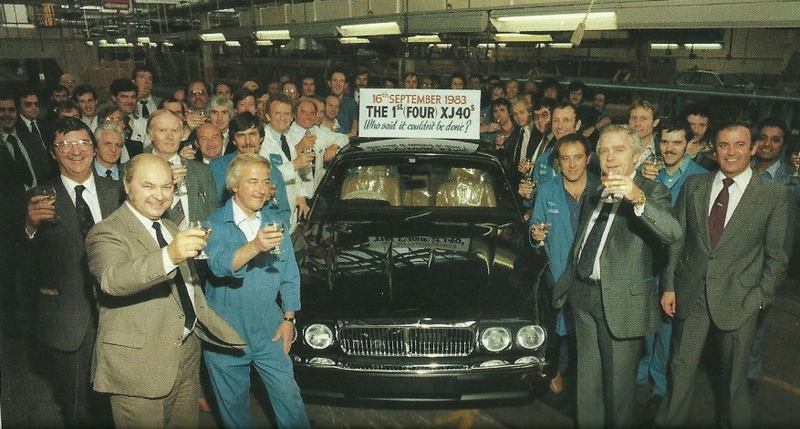 XJ40 history Phase Four: 1986-1994 – The dream unravels. Once the launch hysteria abated, the press began to appraise Jaguar’s new star more critically. Phase four – 1986-1994: An Ecstatic Début. Jaguar’s management bask in the approbation of a valedictory UK press as XJ40 breaks cover at last. Phase three – 1980-1986: Pull Back and Reveal. 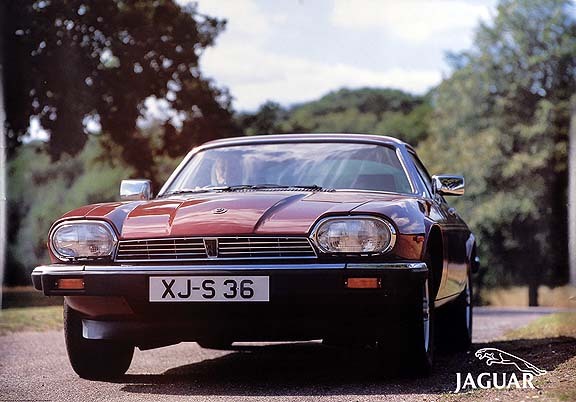 As the third phase draws to a close we review what Jaguar was offering the public in 1986 and reflect upon some of the wider changes that took place over the intervening 14-year period. Driven to write looks back at Jaguar’s ‘much-loved’ X-Type and asks whether it was it simply a Mondeo in drag or something a little more nuanced? It’s probably accurate to say that the X-Type essentially bankrupted Jaguar. Certainly, the Ford-owned carmaker never recovered from the losses incurred by the X400 programme. 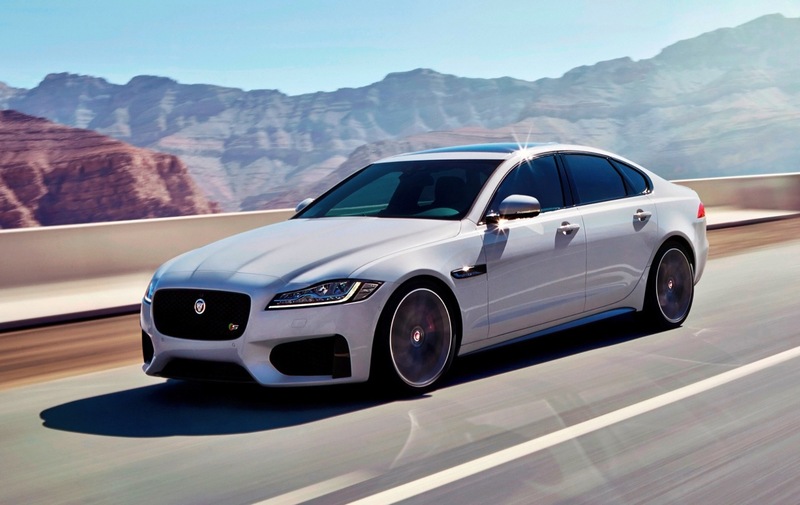 According to a study carried out by financial analysts, Bernstein Research, Jaguar lost €4600 on every X-Type built – a net loss amounting to over €1.7 billion. Allow that to sink in for a moment. Phase three – 1981-1986: The Legend Grows Old Waiting. As the AJ6 engine breaks cover, the press lose patience. Phase three – 1981-1986: Free at last. Jaguar’s independence becomes a reality as Sir William takes a more active role. 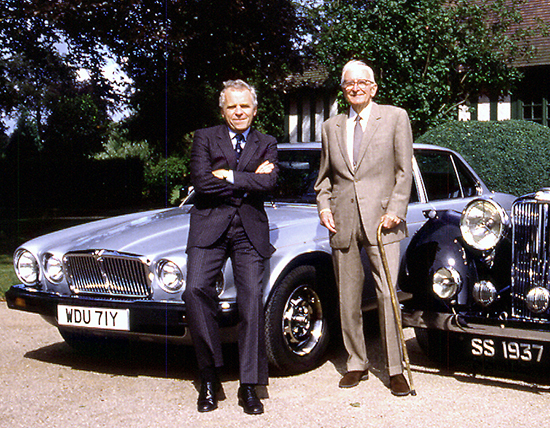 When John Egan made contact with Sir William Lyons in 1981 to sound out the Jaguar founder for the role of company President, he was taken aback by his response. ‘I already am, lad!’, Lyons informed him. Amid the turmoil of the previous eight years everyone appeared to have forgotten. Lyons warmly embraced the new incumbent, believing the Lancastrian was the man to reconstruct Jaguar after the disastrous Ryder years. The two men quickly developed a rapport and Egan became a regular visitor to his Wappenbury Hall home where he would take advice from Jaguar’s venerable founder. Sports models have kept Jaguar in business in the US market for decades, so what’s the matter with their saloons? Phase Three – 1981-1986: Not so Fast Mr. Egan. 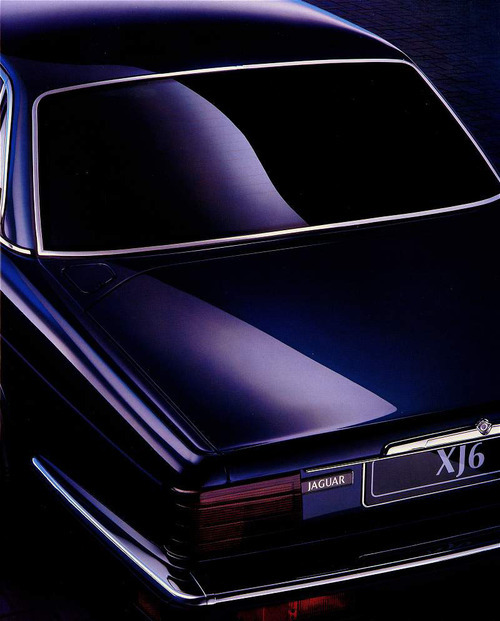 Was Jaguar really going to launch XJ40 in Autumn 1984? With Jaguar heading for privatisation, internal BL politics once again reared their head. Sir Micheal Edwardes’ successor, Ray Horrocks was opposed to Jaguar’s independence, lobbying to prevent Egan successfully manoeuvring towards BLexit. With BL at work on an executive saloon to be launched in 1986, Horrocks also moved to ensure there would be no encroachment into Rover’s market. Unsurprisingly, Jaguar’s Chairman had other ideas. Driven to Write takes the Sir William test with Jaguar’s 2003 R-D6 concept and asks, could it have been Coventry’s TT? Phase Three – 1981-1986: Trouble at ‘Mill. As John Egan begins extricating Jaguar from BL’s grasp, XJ40’s development programme hits some early setbacks. Phase Three – 1981-1986: Picking Up the Pieces. 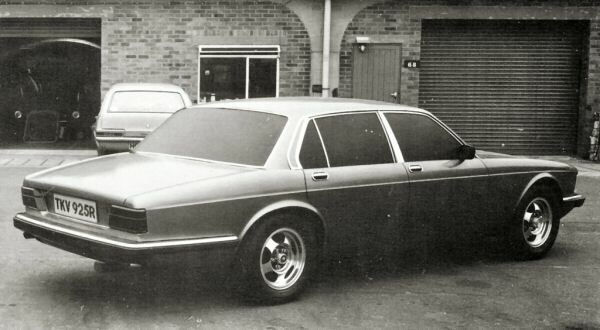 The early phases of XJ40 development centred around the battles played out to retain Jaguar’s identity. The third phase would be dominated by efforts to remove themselves from BL’s influence entirely. 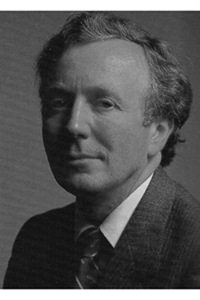 Phase Two – 1976-1980: Egan Takes Knight. As XJ40’s vaults its final hurdles, John Egan arrives at Browns Lane. Phase Two – 1975-1980: Knight Falls. 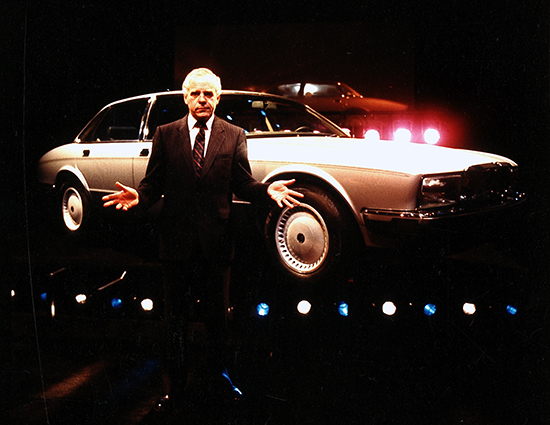 The disastrous 1979 launch of Series III almost sinks Jaguar entirely, indirectly precipitating Bob Knight’s downfall. Phase Two – 1976-1980: Speed of Darkness. As Bob Knight continues his search for an acceptable style, a new sheriff enters town. Phase Two – 1976-1980: Fortress Jaguar. 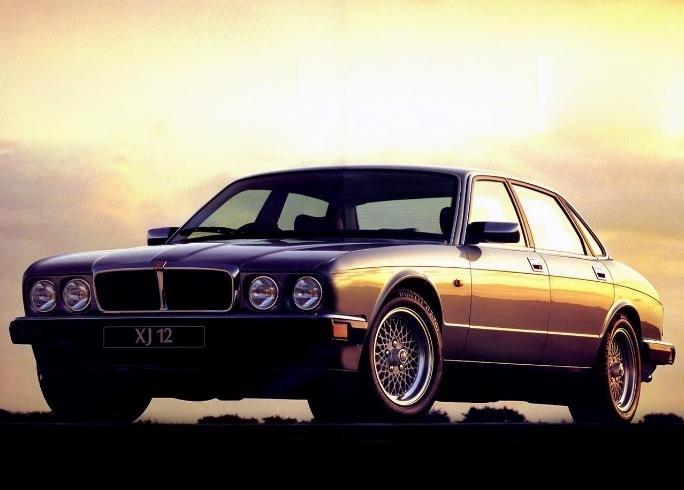 With engineering the last beacon of resistance, XJ40 becomes its talisman. Phase One – 1972-1975: Jaguar Year Zero. 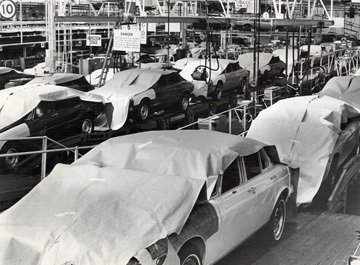 The Autumn of 1974 marked a point when the sky fell in at Jaguar. Phase One – 1972-1975: A Question of Style. Jaguar knew how XJ40 should look, but BLMC management had other ideas. 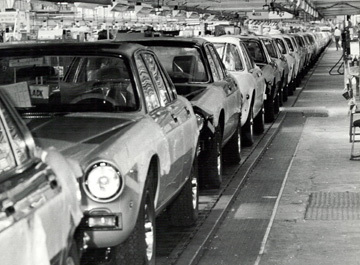 Phase One – 1972-1975: A New Jag Generation. We examine the landscape within Jaguar as the initial XJ40 concept coalesced. 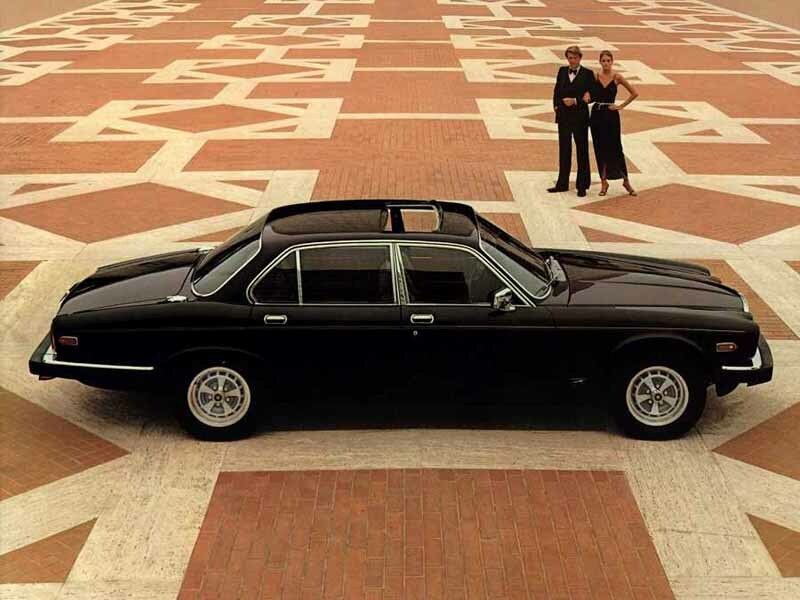 XJ40 underwent several distinct phases in its path to production, the first of which began with the 1968 launch of the XJ saloon, a car upon whose shoulders Jaguar would unknowingly place the next 18 years of its existence. The XJ was a superb car, its excellence the sum of several factors. The careful honing of proven hardware, a gifted development team, Jaguar’s V12 engine, and the appliance of stylistic genius. It would be the pinnacle of Sir William Lyons’ vision but as a new decade dawned, it was necessary to plan for its successor. A new Jerusalem, or nothing but the same old story? In this series of articles, we examine XJ40’s turbulent conception and ask, was this the last Jaguar? Billed at launch as the Jag without tears; a high-tech culmination of an unprecedented level of proving in some of the world’s most hostile environments, XJ40 represented a new beginning for an embattled marque. As much the story of Jaguar’s dogged resistance as it is of the car itself, XJ40’s 22-year career encapsulates the most tumultuous period in the company’s history. The tragedy of XJ40 is twin-pronged. Throughout this torrid decade, XJ40 became Jaguar’s talisman, the one hope a demoralised corps could cling to when there appeared to be no future. Central to this were efforts of successive engineering chiefs to maintain the marque’s identity, but success would come at bitter personal cost. XJ40’s lengthy gestation meant the end result was viewed in some quarters as a disappointment, yet this belies the enormous efforts made to ensure XJ40 modernised, yet maintained marque traditions. The first truly modern Jaguar, the model was critically acclaimed upon release, but the car’s reputation became irreparably damaged by early build issues it never quite overcame. Despite being the best-selling XJ series of all, XJ40 today remains something of an outlier within the official Jaguar narrative, only latterly being appreciated for its finer qualities and for its status as arguably the most ambitious and technically pure Jaguar saloon ever. It could also be said to mark the point when Jaguar’s stylists ceased to look forward, resulting in a nostalgic philosophy Ford’s interventionist management subsequently wrung dry with the XJ40 series’ ultimate successor – 2003’s X350 series. 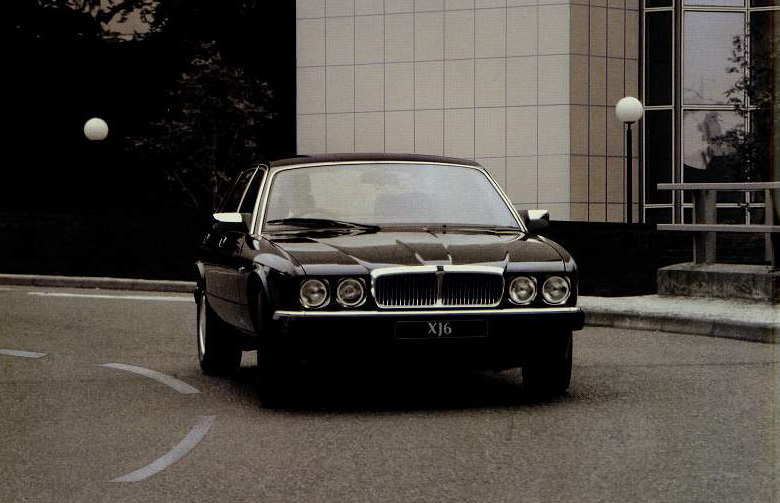 In fact, parallels between XJ40 and its Ford-funded successor run deep. Both were intended to be technological flagships for both Jaguar and their parent. Both attempted to marry technical innovation with traditional styling. Both failed to stabilise the business and indirectly precipitated further changes of ownership. “…It’s all just a little bit of history repeating…”, Shirley Bassey once purred over a Jaguar TV advert, and this lyric contains a truism, because for Jaguar the past refuses to stay buried for long. Part one: Arguably the most misunderstood Jaguar of all time, Driven to Write seeks once and for all to put the ‘committee design’ assertion to rest as we assess the stylistic genesis of the 1975 XJ-S.